The modern style of the Eminence antique bronze finish plaque casting combines the classical symbols of victory: the laurel wreath and mighty oak. 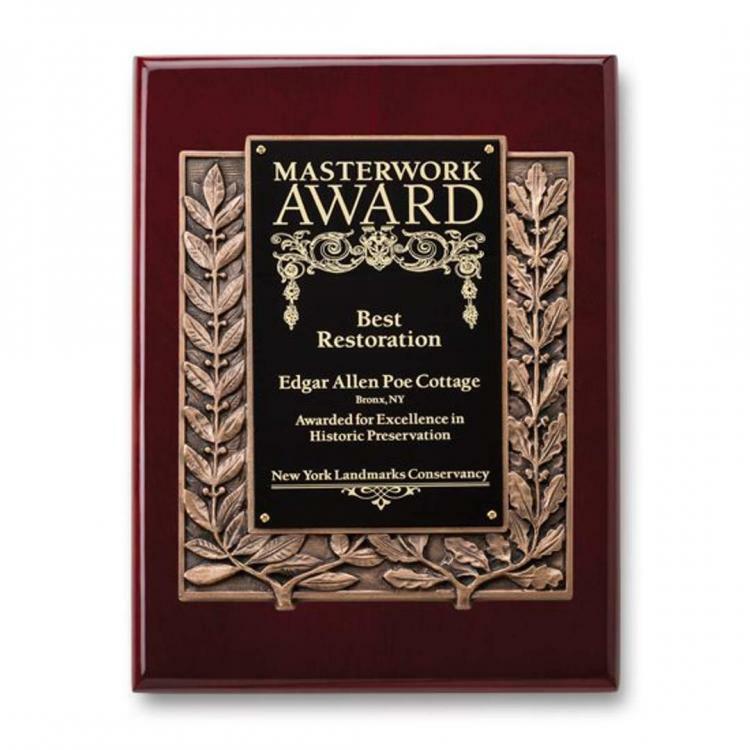 Intricate detail and exceptional workmanship gracefully compliment your achievement with a laser engraved black brass insert set into the middle of this artistic casting. Eminence Plaque - Black/Rosewood 9"x12"